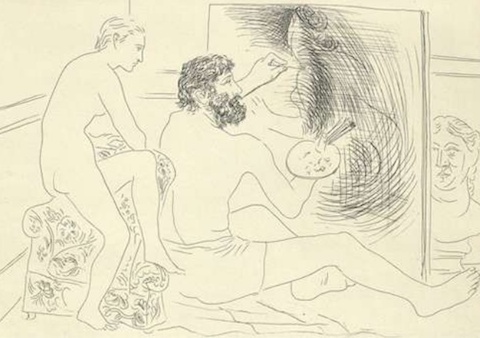 Pablo Picasso had a long and complex relationship with book illustration. The modern painter hated to work on spec and resisted taking commissions. Nonetheless, when it came to literature, he made well over 50 exceptions, illustrating the work of scores of authors he admired. 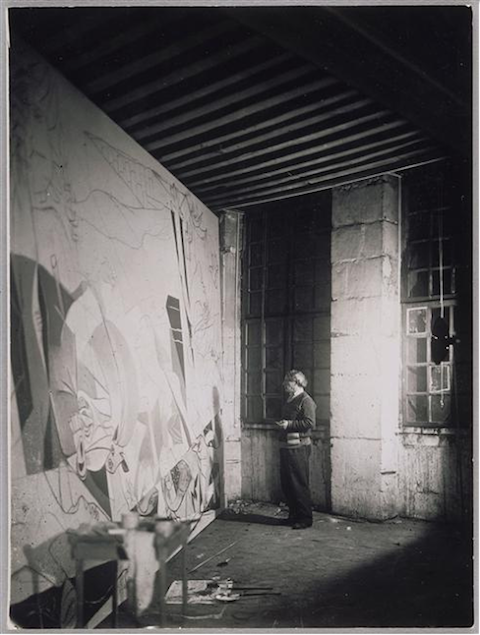 As John Golding writes in The Independent, Picasso had always gravitated toward the literary; he wrote prolifically, was “attracted to art that had a literary flavor,” and “preferred the company of writers, particularly poets, to that of other painters and sculptors.” Golding writes of the artist’s particular love for the Spanish Baroque poet Luis de Gongora, whose work he illustrated in a 1948 edition, and who was to “affect the future development of Picasso’s art in a way that his other literary collaborations did not.” But this may be a hasty judgment. 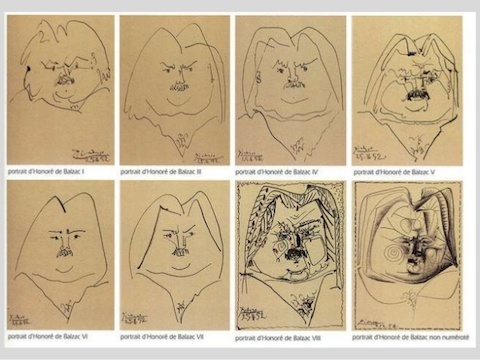 As it turned out, Picasso’s 1931 illustration of a short story by Honoré de Balzac, “The Hidden Masterpiece” (Le Chef-d’oeuvre inconnu), would affect him greatly, and indirectly contributed to the creation of his most famous work, the enormous anti-war canvas Guernica. 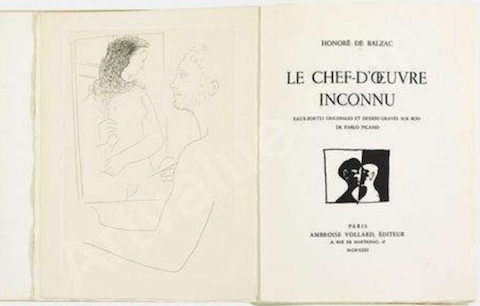 Picasso accepted the Balzac commission from art dealer Ambroise Vollard (see the title page and frontispiece at top, Picasso’s portraits of Balzac above) and completed the thirteen etchings in 1931 for a centennial edition (see ten of the illustrations here). Many have considered these etchings “landmarks in the history of engraving.” Balzac's story, admired by other painters like Cézanne and Matisse, is among other things a tale of an artist ahead of his time. Set in the 17th century, “The Hidden Masterpiece” tells of an aging painter named Frenhofer, who obsessively labors over a work he has kept secret for years. When two younger admirers, painters Poussin and Porbus, finally manage to see Frenhofer's secret canvas, they are appalled—it appears to them nothing more than an indistinct mess of lines, colors and shapes—and they mock the older artist and assume their celebrated friend has gone insane. The next day, Frenhofer destroys all his work and kills himself.